NDP Leader Andrea Horwath promised to re-open the closed emergency rooms in Fort Erie and Port Colborne should voters put her in the Premier’s chair. The NDP told reporters it would cost $10 million to reopen the two Niagara region facilities. Confidence in the Niagara Health System has been flagging in recent years, resulting in the August appointment of Dr. Kevin Smith as supervisor. Smith is CEO of nearby Hamilton St. Joseph’s Health System. This year 33 people died at the hospital from complications resulting from the C. difficile outbreak at the Niagara Health System. The issue raises the larger matter of the role of smaller community-based hospitals. In recent years, communities have been fighting to maintain their hospital services amid plans to close local hospital services, including emergency rooms. Petrolia and Wallaceburg have both headed off potential closures of their emergency rooms. During one local area consultation, residents in Wellington-Waterloo Local Health Integration Network were told that they may have to choose between the Mount Forest and Palmerston hospitals. Both remain intact — for now. In St. Mary’s Ontario, the local hospital faced overnight closure of its ER, which would have effectively made it an urgent care centre. So far the ER remains open 24/7. Other communities have not fared so well. Shelburne lost the last of its hospital services. Residents now have to travel south to Orangeville. Burk’s Falls also lost its bedded facility attached to Muskoka Algonquin Health Care. Fort Erie and Port Colborne both lost their ERs. When OPSEU first met with Health Minister Deb Matthews, she was adamant that better quality care was dependent on Ontarians migrating to larger facilities where the volume of procedures were higher. The Liberals themselves argued against this when in opposition, successfully challenging the Harris government’s plan to close the cardiac unit at the Children’s Hospital of Eastern Ontario, forcing Ottawa-area children and parents to Toronto. At the time the Tories argued there was an insufficient volume of work on the unit to maintain clinical proficiency at the Children’s Hospital unit. The province formed a panel in 2008 to look at the question of rural and northern health care. The panel recognized that people in rural settings were more likely to live shorter lives, have poor to fair health, and much more likely to be overweight. They found that hospitals tended to be default health care providers in the absence of other services. The real battle over the future of Ontario hospitals is not as likely to be fought along Toronto’s University Avenue as it is in the dozens of rural and northern communities across the province. Clearly these hospitals need to fit into a larger plan that will look at improving health outcomes in these communities, not just in sending the sick to the bigger cities to find treatment. 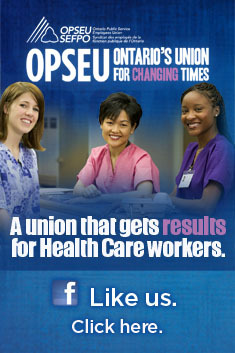 This entry was posted in Health System, Hospitals and tagged Ontario panel, Rural and northern hospitals. Bookmark the permalink.